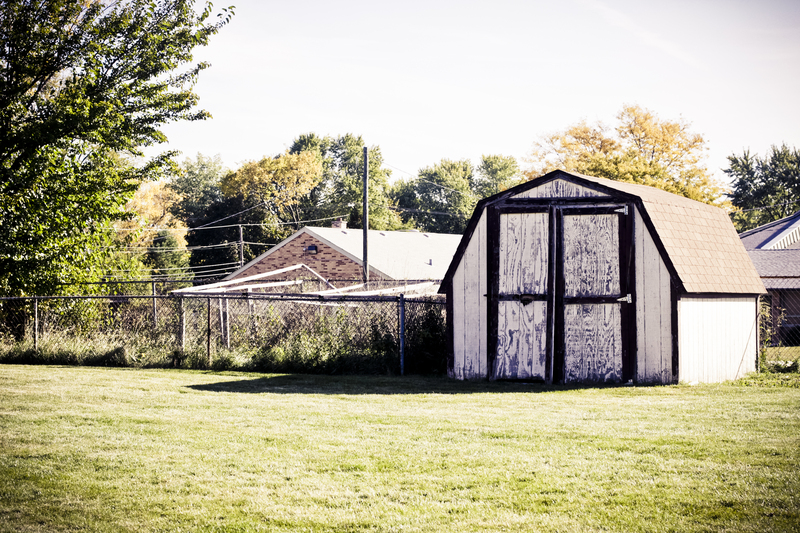 First, the picture in the header is of the shed in my backyard. Since we moved in, I’ve hated the shed and wanted to tear it down. The doors are about to fall off. The prior homeowners left a ton of garbage in it. Skunks moved in for a month a few summers ago. But when our friend Irene came to visit, she took this picture of the shed, and since then it has grown in my estimation. It looks like a place that has a story, character, and mystery. In other words, sometimes it takes another perspective to open your eyes. But the main inspiration for the title comes from the title of a short C.S. Lewis essay entitled, “Meditation in a Toolshed.” In the essay, Lewis tells of a time when he was in a toolshed and began to look at a beam of light shining through the door. He then moved into the light and looked along the light, up through the door, through the trees and into the sun. His conclusion: “looking along” is very different than “looking at”. A young man meets a girl. The whole world looks different when he sees her. Her voice reminds him of something he has been trying to remember all his life, and ten minutes casual chat with her is more precious than all the favors that all other women in the world could grant. lie is, as they say, “in love”. Now comes a scientist and describes this young man’s experience from the outside. For him it is all an affair of the young man’s genes and a recognized biological stimulus. That is the difference between looking along the sexual impulse and looking at it. For the person in love, the world is alive for the first time. But the person looking at it from the outside picks the experience apart, reduces it it, demythologizes and debunks it. “All it is,” he says, “is hormones.” He might be right. But he is looking at the world as an outsider. He unable to really see, since he is not in love himself. He knows how to look at the world from the outside, but not from the inside. And so he is blind. My goal is to see the world, not through the eyes of a detached observer, but through the wide eyes of wonder, entering in, drinking deeply, not merely knowing but tasting. Perspective. Wonder. These are my meditations from the toolshed. This entry was posted in About This Blog and tagged Life, Theology by Justin. Bookmark the permalink. I loved this story and your thoughts. Keep the shed!! !